Extreme performance is what golfers demand. No one does it better than Sporturf™. Every Sporturf™ golf product has been tested, scrutinized, and developed to perform like a natural Pro golf course putting green. Some of the world’s greatest golfers have enjoyed the technology Sporturf™ delivers in all of its golf products. If you are ready to take your game to the next level and want a product that will help you get there, then Sporturf’s golf products are the only choice. Enjoy the most consistent surface in the synthetic turf industry. The Multicolored yarn used in this product provides an authentic look that is hard to find. This product performs best with sand infill and is designed to hold short chip shots while providing a true roll. c tee lines, hitting mats, and extended use golfers. 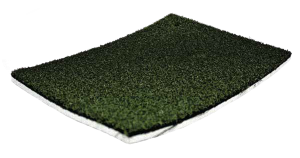 The dual-color sand-filled putting surface features a texturized polypropylene yarn system designed to receive chip shots with natural ball roll with less maintenance than conventional sand-filled systems. This is a very versatile product that can be used for numerous applications. 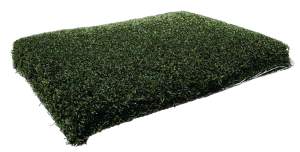 It is an excellent putting surface that provides a very realistic roll with natural speed.